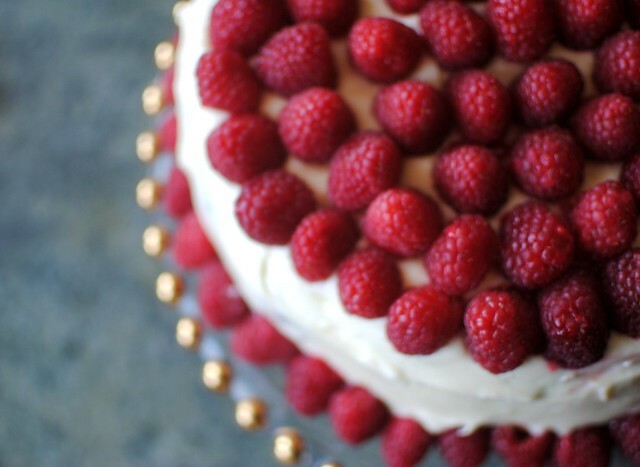 We celebrated multiple birthdays this weekend, which (obviously) means we ate lots of cake. Since I sometimes fail at cakes and I only had time to make one cake and make it right, I decided to cheat a little and start from a box mix. This recipe is pretty fail-proof and even if it does fall apart you can glue it back together with delicious cream cheese icing (it actually works out for the best). Preheat oven to 350 degrees. Start with Devil's Food Cake Mix and add 1 1/3 cup of tangerine or orange juice, 1/2 cup grapeseed oil (or just regular canola oil), 4 eggs and a bag of chocolate chips. I used two 8-inch round cake pans and had enough leftover batter for nine cupcakes. Be sure to line the cake pans with parchment paper, or else the chocolate chips will sink to the bottom and stick to the pan. Bake for about 25-30 minutes or until a toothpick comes out of the center clean. Put the two cake layers in the freezer before assembling as it makes them easier to deal with and less likely to fall apart. For the cream cheese icing, use an electric mixer to mix 3 packages of softened cream cheese, 1 1/2 sticks softened butter, 3 1/2 cups of powdered sugar, and a tablespoon of vanilla extract. 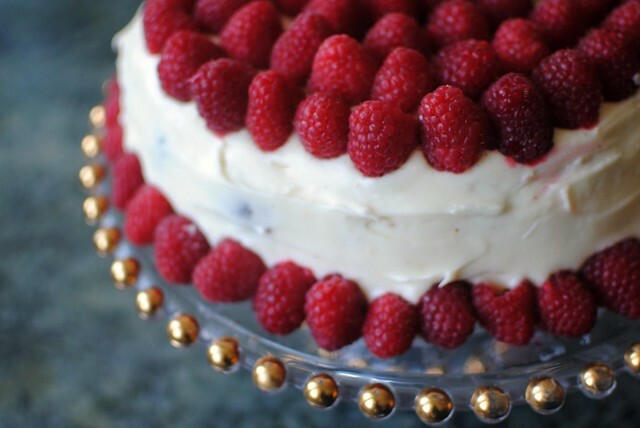 Top with fresh raspberries and devour with friends.